Poor vision may be attributed to old age, but that doesn’t mean you can’t do anything about it. One of the leading causes of vision loss, for instance, can be prevented through early detection. Many people, however, do not prioritize eye exams, especially in their youth. Neglecting vision health may result in irreversible eye problems, including macular degeneration. A glaucoma doctor from EyeSite of The Villages discusses how macular degeneration can cause vision loss. To understand how macular degeneration occurs, we’ll discuss how your retina and macula work. The retina is the thin layer of tissue that lines the back of the eye on the inside and receives light from the lens. It will then convert the light into neural signals and send these on to the brain for visual recognition. When the central portion of the retina (called the macula) deteriorates, the central vision is compromised, affecting a person’s ability to read, drive a car, recognize faces or colors and see objects in fine detail. What Are the Two Forms of Macular Degeneration? Macular degeneration has two forms: wet and dry. Wet macular degeneration is the early stage of this disease. It’s often caused by the aging and thinning of macular tissues, depositing of pigment in the central portion of the retina or a combination of the two processes. This form of macular degeneration is detected by your cataract doctor when yellowish spots begin to build up in and around the macula. Dry macular degeneration, on the other hand, occurs when new blood vessels grow beneath the retina and leak blood and fluid. This leakage results in permanent damage to light-sensitive retinal cells, creating blind spots in the central vision. How Can You Prevent Macular Degeneration? People with macular degeneration may notice shadowy areas in their central vision. Distorted vision is also a common sign of this eye disease. Your eye doctor can detect macular degeneration in its early stage through a retinal exam. This is the best way to prevent vision loss caused by this eye problem. Eye specialists also suggest eating food with eye-friendly nutrients, including salmon and leafy vegetables, to prevent this eyesight-related disease. 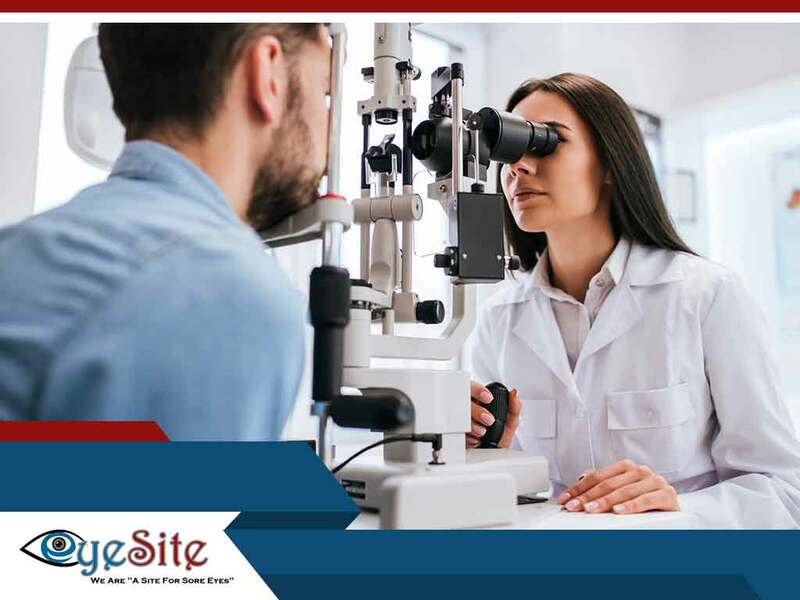 Entrust your vision health care to EyeSite of The Villages. Our cataract doctor can conduct eye exams to help diagnose different eye conditions. We may also suggest necessary treatments for patients. Call us today at (352) 504-4560 to schedule an appointment. We serve the residents of Lady Lake and Oxford, FL.